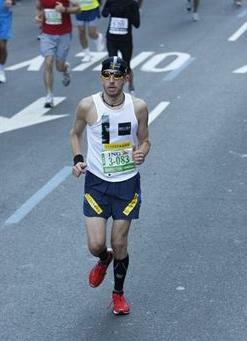 Boston Marathon 2012 is coming up. After NYC I took a well deserved break from the running but Im back on track again. For NYC I used Adidas Adizero Adios2, all my running prior to NYC I had been using the Adios 1, but at the NYC expo i got hooked up on Adios 2. Straight out of the box I used the Adios 2 with a good result. I will post a better review after I been using the shoe for a while during my build up towards Boston marathon. Also I'm going to use CEP compression wear to prevent cramp, I have been using their calf sleeves with a great success, now I'm going to try their shorts/tights as well. CEP sleeves are simply the sleeve that works best for me and it gives you the right amount of compression during recovery, practice and race. More reviews will come up soon.